Over a period of five years, Swiss filmmakers Norbert Wiedmer and Peter Guyer followed producer Manfred Eicher and the artists of ECM around the world. 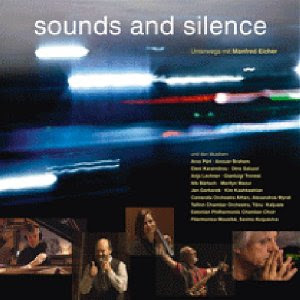 In footage from Estonia, Tunisia, Germany, France, Denmark, Greece, Argentina and elsewhere, their documentary movie “Sounds and Silence”, captures aspects of the music-making process at ECM, and gives glimpses of unique players and composers at work. Amongst them: Arvo Pärt, Eleni Karaindrou, Dino Saluzzi and Anja Lechner, Anouar Brahem, Gianluigi Trovesi, Marilyn Mazur, Nik Bärtsch, Kim Kashkashian, Jan Garbarek and many others. “sounds and silence” has been selected for the Locarno International Film Festival, and will have its world premiere at Locarno’s Piazza Grande on Saturday, August 8, 2009. From ECM website. Horizons touched by ECM here.